T’ai Chi is often associated with older people, attracting those who want help with balance and mobility. However, it is a robust martial art, which can be enjoyed by a wide age range. I have been practicing T’ai Chi since my 20’s and have found so many health benefits. It is described as ‘meditation in movement’, keeping the mind calm and stress free. It is also used as a martial application and can be used for fighting forms, which can be fun and aerobic. T’ai Chi is also exceptional as a rehabilitation or prevention of musculoskeletal problems. The warm up exercises take in all of the main joints of the body and the stretches make sure you will be supple and injury free. By practicing several times per week, anyone with arthritis, whether you are 16 or 60 will benefit from keeping your posture upright and strong. We often think of body builders as strong, but in fact long muscles, stretched and toned provide us with the strongest, mobile body. Yogis, ballerinas and T’ai Chi students can develop very strong physiques. In fact I would say they are strong because the core is strong, and long muscles provide more strength overall than just pumping iron and making muscles bigger. For those of you who love sport and gym work, T’ai Chi offers isometric exercise, holding positions which strengthen the core. Martial arts are lots of fun to learn and calming the mind has to be good in this crazy world. 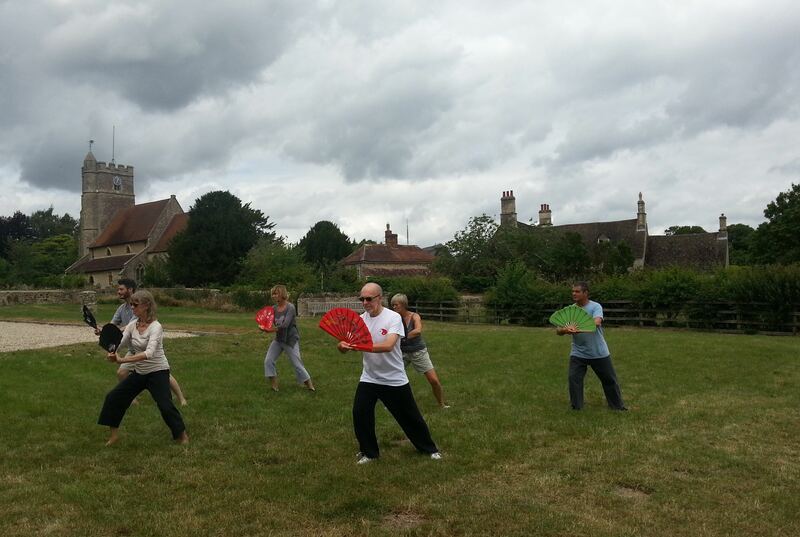 Combining T’ai Chi with other sporting activities is a great balance.